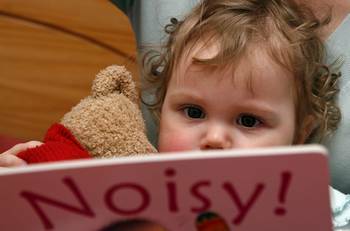 A box containing a selection of 20-30 story books and simple non-fiction books can be loaned to playgroups, parent and toddler groups and childcare facilities in the County Borough. The books are suitable for children under 3 years of age. Books are available in English, Welsh and bilingually in English/Welsh. Loans contain a mix of different mediums of books which include board, textured and pop-up books. If groups have any special requests, i.e. if they have a topic for the term, this can usually be accommodated if prior notice is given. A delivery/collection service is offered at the beginning and end of every term. If groups remain open during holiday times, loan periods can be extended.